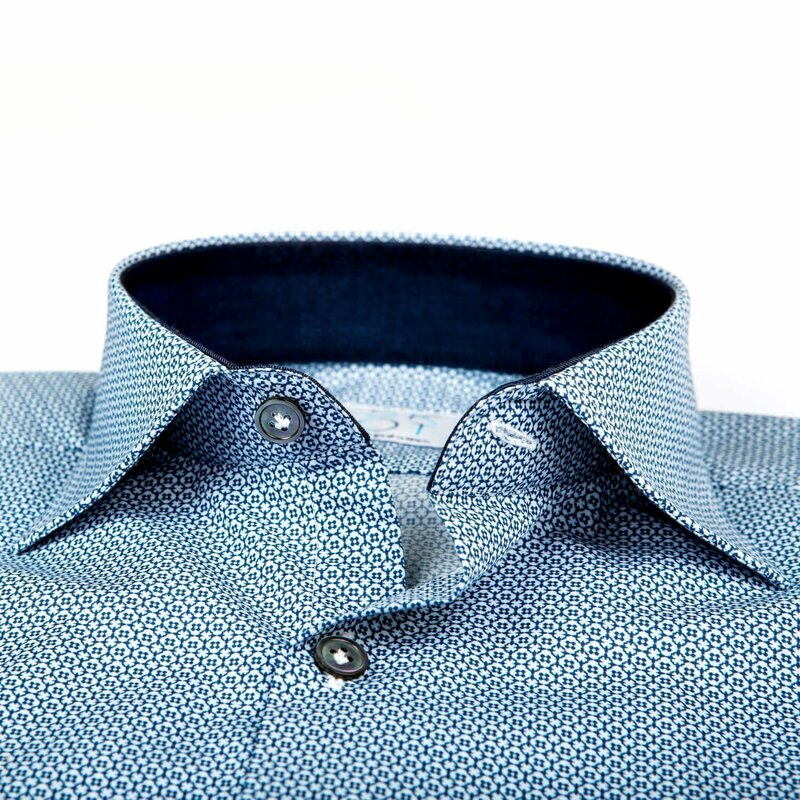 The Serious Mystic has a great dark blue pattern on a white fabric. 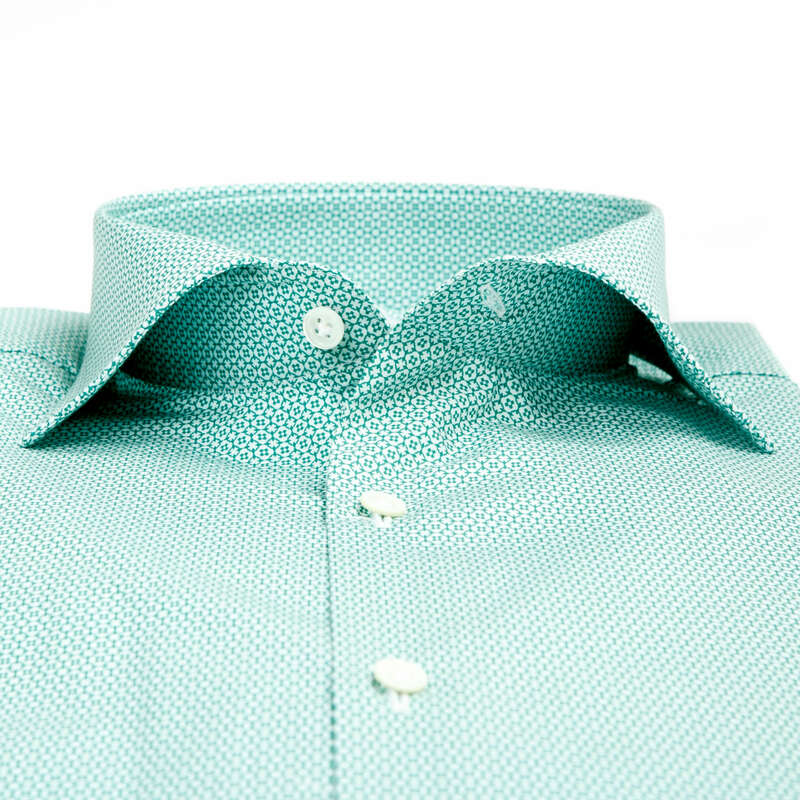 It’s actually the same pattern as the Flamingo Fun, but with very different colors. 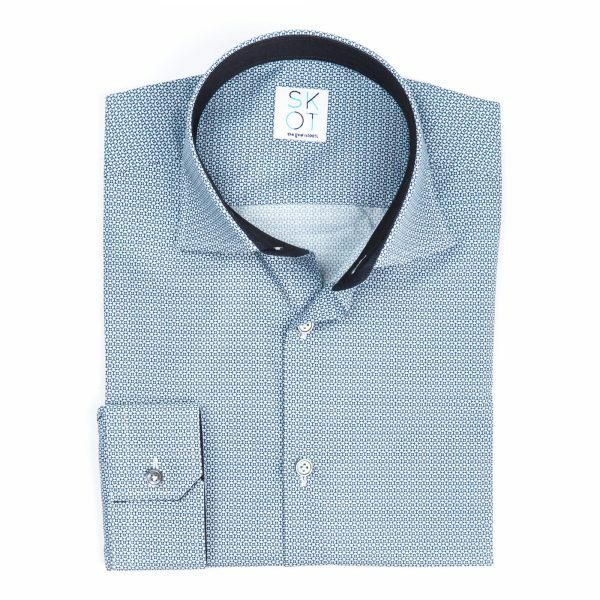 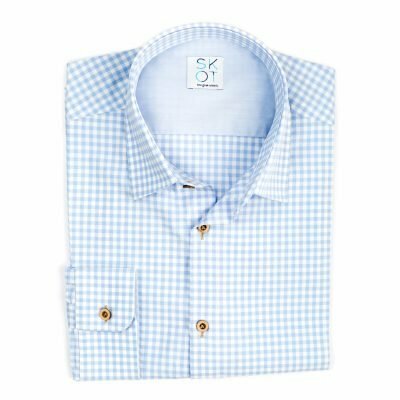 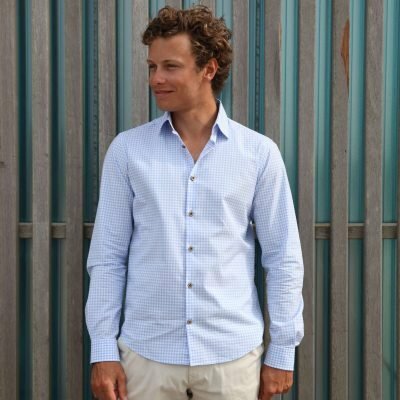 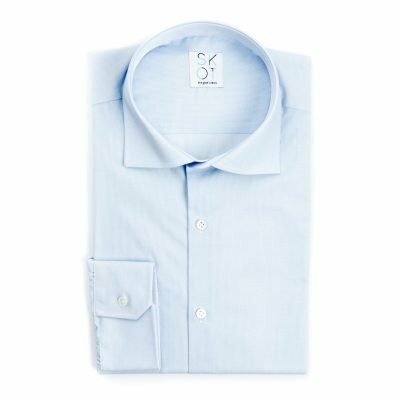 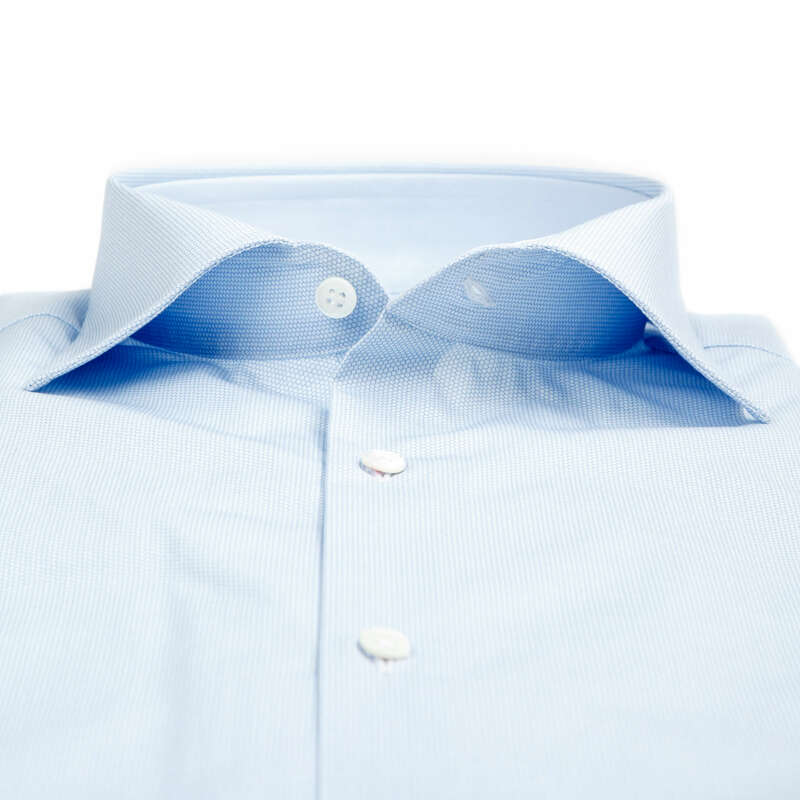 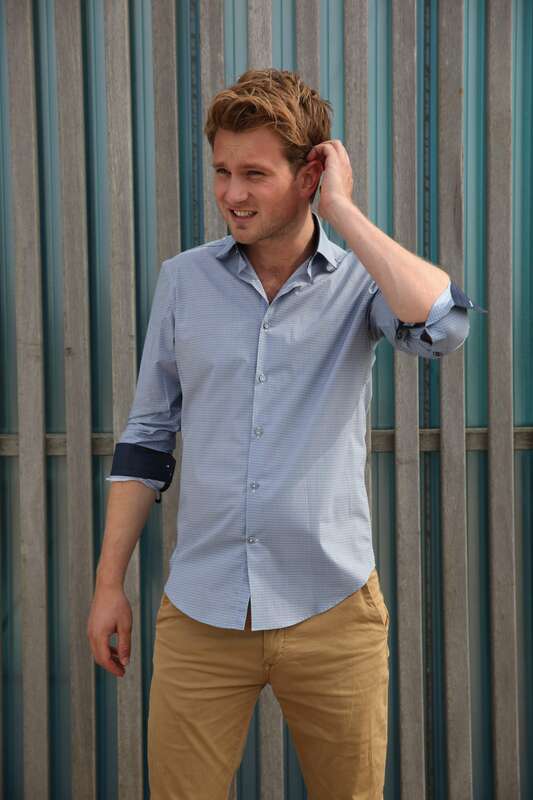 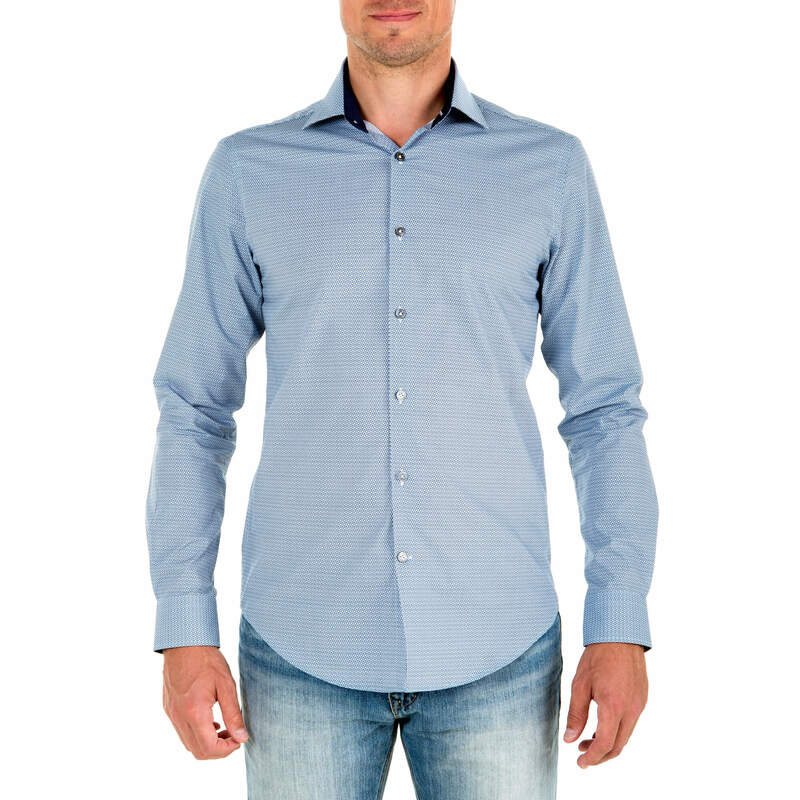 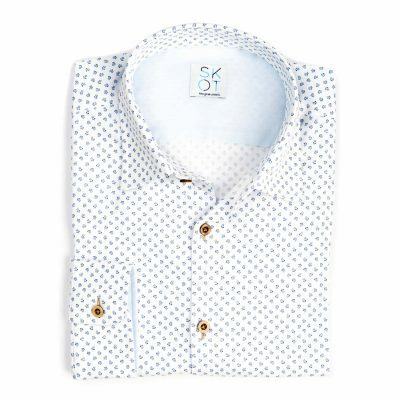 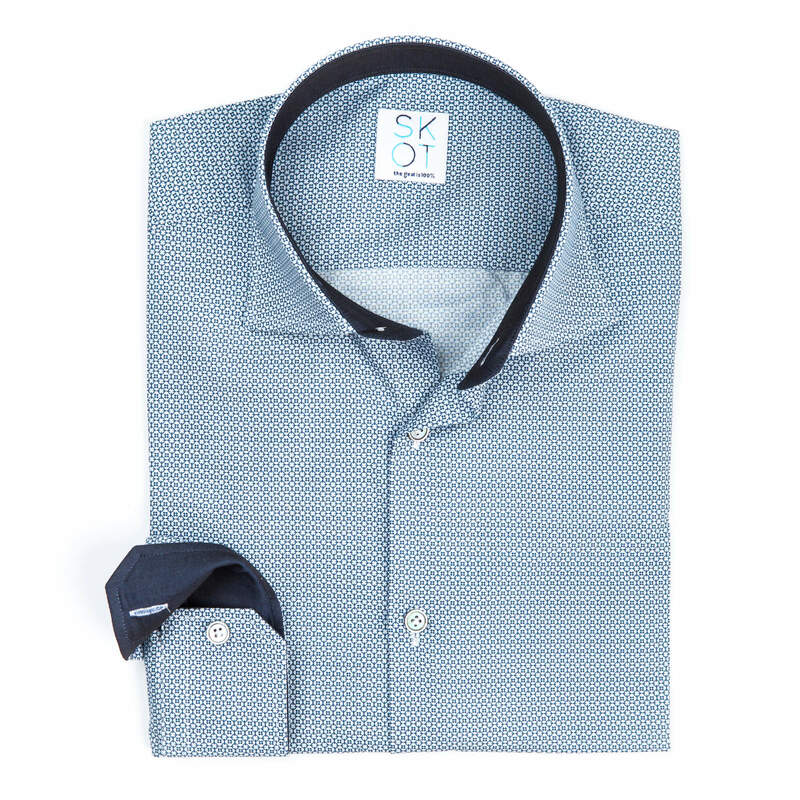 The dark blue color of the inside cuff and the inside collar give the shirt a distinctive darker look. 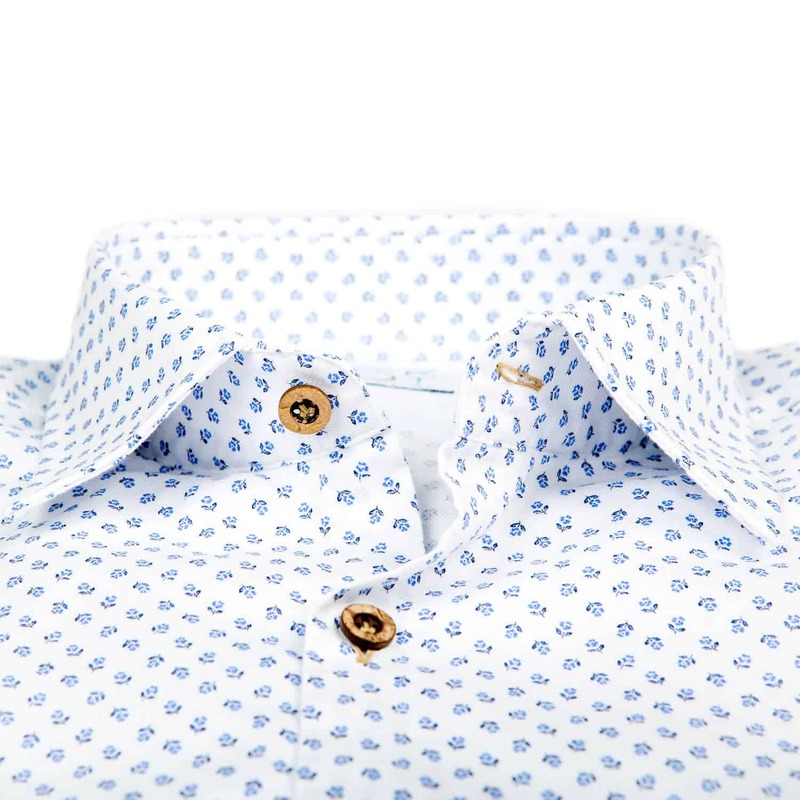 The buttons are matched with the shirt. 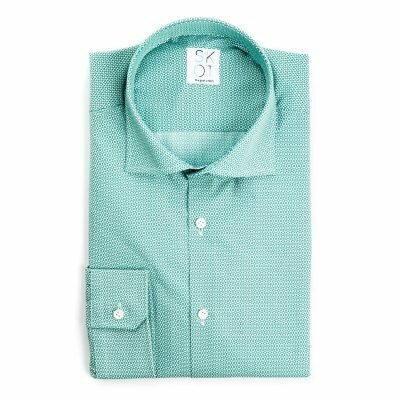 Made from sustainably grown mother of pearl, and they have a blue-green color. 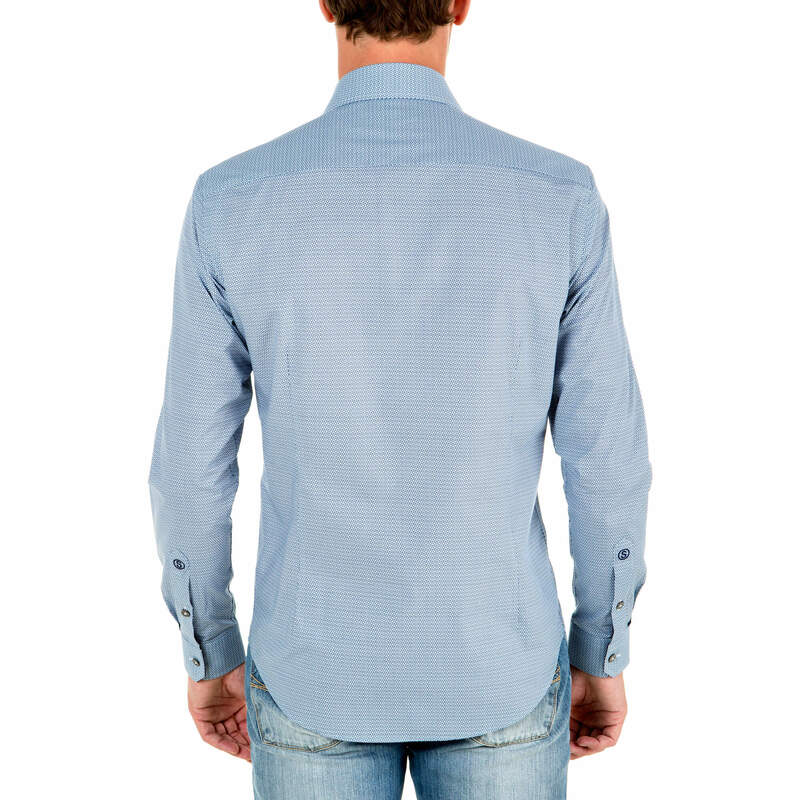 Poplin woven, with a standard slim fit.